A big hello to everyone! 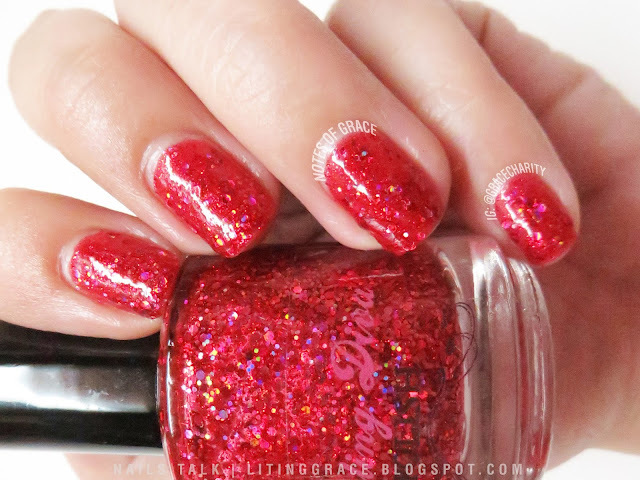 To the polish lovers, today I have another polish from a brand that's no stranger to this space, Darling Diva Polish (DDP), to share with you. For those of you who are new here, you can read about my previous reviews on DDP here, here and here. Now, let me introduce the star for today's Nails Talk. A cherry red jelly polish loaded with tons of multi sized holographic hexes, Little Red Corvette is super sparkly, especially in real life! So sparkly that my camera had a hard time trying to figure out where it should focus, hence the blurriness in some of the photos. As with the previous DDP polishes, the formula was great and application was smooth. 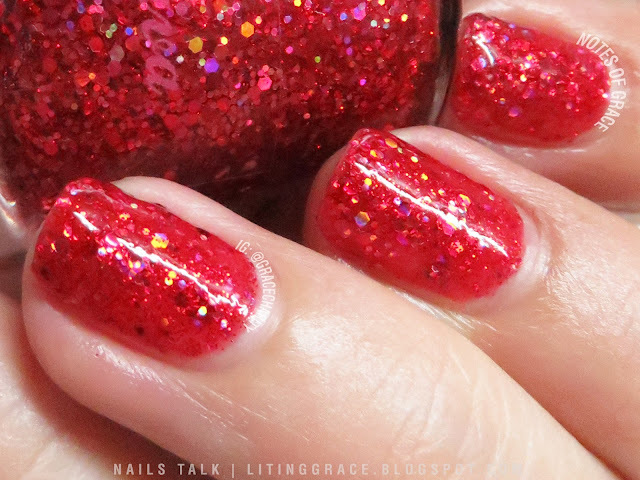 The photos shows two coats topped with a thick coat of Glisten & Glow HK Girl Top Coat. 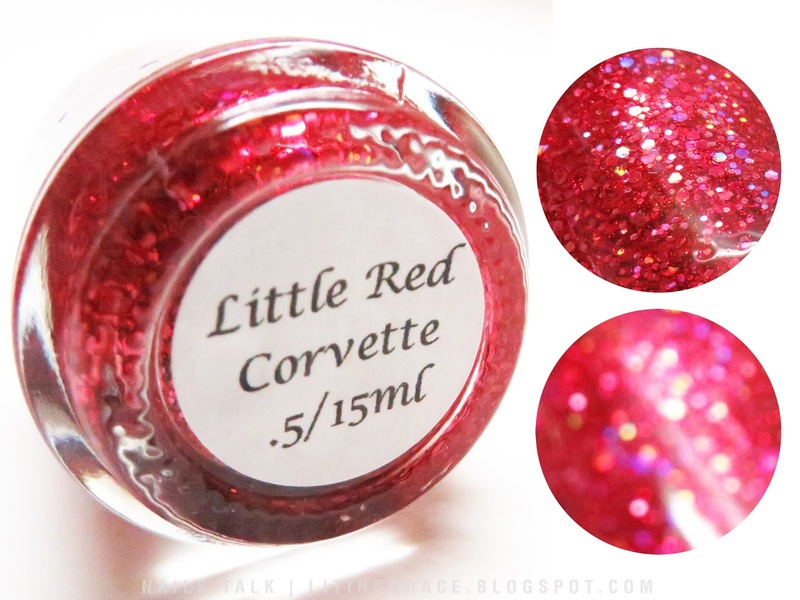 If there's a red polish that you need to have for the coming holiday seasons, I would say, pick this!